The launch of New Zealand’s first variable annuity with guaranteed living benefits is imminent. The article is an overview article in the SOA International Section magazine. In the six years since the financial crisis, actuaries have played an integral role in steering the variable annuity industry from an abrupt and tragic ending. Actuaries developed the new simplified and “de-risked” products that have become the norm, refined and expanded hedging programs, and reset product charges commensurate with current capital markets conditions. They have also helped many companies go so far as to offer buyouts to inforce policyholders, in an effort to mitigate the large and complex risks associated with legacy products. It all sounds so sensible, positive, and tidy – through the tumult, hard lessons have been learned, most of the players have survived, and actuaries have lead the way to a new normal. Curtain. The potential for a repeat performance of legacy blocks in the next financial crisis will put claims of improved risk management to the test. The mismatch risk of using the available short-term investment hedges to support decades-long product guarantees is well documented and perhaps part of the scenery at this point. But since the financial crisis, as the variable annuity market has reconciled itself to a new normal in the capital markets, we have seen the sudden emergence and star turn of a new threat – policyholder behavior. This includes surrenders, partial withdrawals, annuitizations, and mortality within the context of living benefit and death benefit guarantees. Previously only a bit player – estimated by pricing actuaries, fine tuned by valuation actuaries, and scripted for the hedging managers – adverse policyholder behavior and subsequent extrapolations to future behavior have been responsible for billions in losses over the last three years. Surely it cannot end like this. It is not just the surprise losses due to policyholder behavior, particularly surrenders, but that it begs the question – is there more? Is this a one time event or a harbinger of worse tidings? And what is being done about it, beyond the modest level of inforce policyholder buyouts? Mortality rates continue to fluctuate, making the cost of death benefit guarantees a moving target. The repeated underestimation of longevity improvements can dramatically increase the cost of living benefit guarantees. Surrender rates continue to be very low, myriad factors seem to affect wide ranging partial withdrawal behaviors, and the industry is on the front edge of a wave of annuitization eligibility for products guaranteed in those terms. Incredibly, with all of this, the main strategy for managing policyholder behavior risk seems to be the “hope sandwich” – hope to determine a margin for conservatism in excess of best estimate assumptions, reflect it in product pricing, and then hope it is adequate for decades after launch. This is exactly where actuaries need to turn their attention, to rewrite this flimsy script and allow the variable annuity market to be repositioned on solid ground for the long run. One way to do this is through the intelligent use of reinsurance. In much the same way that the life insurance industry has used reinsurance to actively manage its mortality risk exposure, the variable annuity industry can use reinsurance to actively manage its policyholder behavior risk exposure. Carving mortality risk out of death benefit guarantees is straightforward, and follows life reinsurance mechanics with a similar potential audience of life reinsurers. The ceding company pays reinsurance premiums equal to an agreed tabular mortality basis times the amount at risk each period, in exchange for receiving reimbursement for actual death claims. The economic cost to the ceding company depends on the excess, if any, of the agreed tabular rates over the actual mortality rates for the term of the reinsurance. Elective policyholder behaviors require a different mindset because the primary concern for direct writers is not short term fluctuations, but sustained and significant adverse deviation relative to expectation. This triggers revisions to best estimate assumptions, which means dramatic reserve and/or capital increases, as we have seen over the last three years. So direct writers really need catastrophe reinsurance for these risks – they should be willing to pay a premium in exchange for a much larger reimbursement in the event that an extremely unlikely event occurs. This “cat” risk profile is familiar to many property and casualty reinsurers, hence they are a natural audience for this type of reinsurance. Structuring, positioning, and negotiating this type of reinsurance is bespoke work, based on deep analysis of credible company and industry experience data, segmented in shorter reinsurance terms, and isolated from the ceding company’s retained capital markets risks. The benefit to variable annuity companies is clear – mitigate policyholder behavior risks in order to stabilize their financial profile around asset-based fee income. The benefit to reinsurers is to profitably grow their speciality risk portfolio into a huge market where their expertise and capacity are sorely needed. The benefit to the public is continued access to variable annuity products that provide vital benefits for a secure retirement. The benefit to actuaries is nothing less than the successful realization of our profession’s vision of a sound and sustainable financial security system. I know that we are up to this challenge, and we will write a worthy end to this final act. 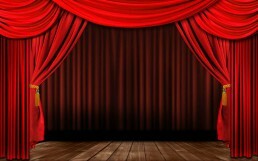 Let’s save the curtain call until then.